And the Instagirls are dressing up in fashion! 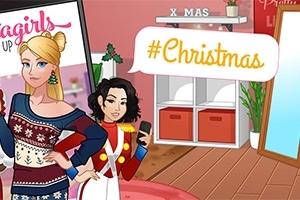 Choose your girl, select your Christmas clothes and create the perfect X-Mas outfit! Snap a picture and post it on your Instagram with hashtag #Christmas. Merry Christmas! Ho Ho Ho!